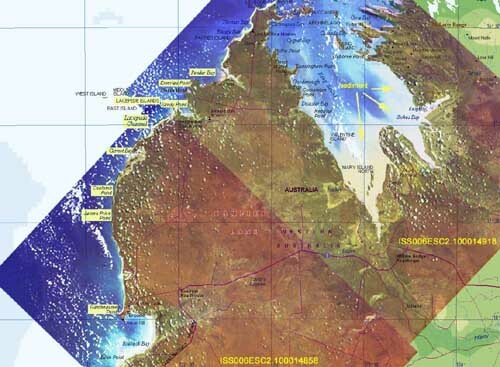 This image displays the King Sound and Dampier Land of Western Australia. The rivers that feed into Stokes Bay and King Sound produce a great deal of visible sediment—sand and soil carried along by rivers and deposited elsewhere. The sound is one of the few places along the coastline of Western Australia that provided a safe harbor for vessels during colonization. Since then, the harbor in King Sound has grown significantly, contributing to pollution and sediment to the surrounding waters.